Have you ever wished you were more creative . . . or that your students were more engaged in your lessons? 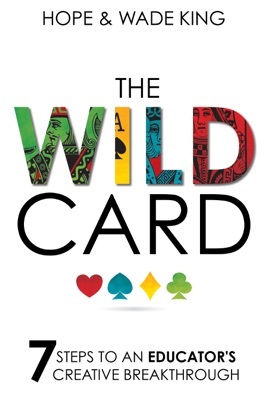 The Wild Card is your step-by-step guide to experiencing a creative breakthrough in your classroom with your students. Wade and Hope King show you how to draw on your authentic self to deliver your content creatively and be the wild card who changes the game for your learners.